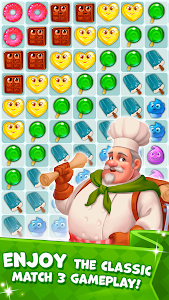 "Dream of collecting… not jewels, but recipes for the tastiest, most incredible sweets, don’t you? Grab a can of soda; you’ll need it to wash down all the jelly beans and sugar candies! 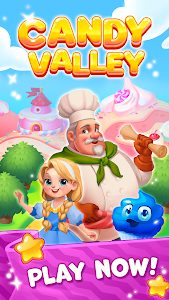 You, your assistant Ella and the candy-maker Edward will set off on a quest to that puzzling place, Candy Valley, where the locals are famous for their exquisite recipes! Travel with the Rainbow and learn to cook all kinds of delicacies by matching the ingredients! Danger and hardship await you on your adventure, but you are sure to best any puzzle without trouble! Cool action waits for kids and adults alike. Boys and girls, you will have unlimited fun playing this jewel of a game! You can log in with Facebook, import your progress and play for free anytime you want on your smartphone! A new online classic saga of match 3 games. Simple rules: find the matches, starting from three in a row, and combine them. 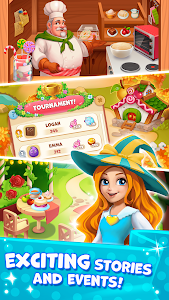 Become the ultimate crusher of sweets and digger of recipes. 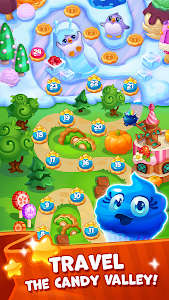 Dash to the most complex puzzles in the app world, match threes, and rush to the very top! Travel the sweetest land imaginable. Note: The purchases in the in-game store are optional and meant to make game progress easier. A Wi-Fi or mobile Internet connection is needed to play the game — you can’t do it offline." 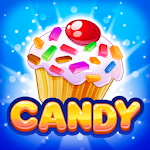 - New bonus world: Candygiving Day! - Tournaments! Compete with your friends and win amazing prizes! 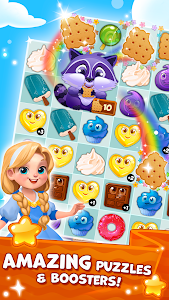 Similar to "Candy Valley - Match 3 Puzzle"